It’s the time of year to shop, revel in the joy of the season, listen to Christmas music, and wrap your fabulous presents. Wait, you do have epically fab presents for everyone – don’t you? In reality, most teens are strapped for both time and cash, not to mention ideas. EVERYTHING is so expensive. So – if you are struggling with what to do for your family this year, once again, look no further than this article. We’ve got some “epic” gift ideas without a huge expenditure of anything but love and goodwill. It’s time to show your family that you really care, and that more than anything, you love them. Scrapbook. Dig through your old photo boxes or smartphone albums and pull out photos that never got printed. Pick out your favorites and personalize them with YOUR memory of the moment. Capture what you were feeling at the exact time that photo was snapped. This will be super meaningful to mom and dad. Utilize Technology. This is an awesome idea because often, they don’t know how to do it, and they think it’s much harder than it is! Make them a special CD by downloading some of their favorite music. Make them an iPhone video and then burn it to a CD. Create a picture slideshow. The opportunities are endless and can be more high tech if you are tech savvy. Create a Meal for Two. With a bit of motivation and about 10 bucks, you can produce a very nice meal for your parents. Serve it with a bottle of wine, or sparkling water to make it even more special. Don’t forget some music and atmosphere! If you give this as a “gift certificate,” make sure you put down a date and mark it on the calendar. Letter of Thanks. Take the time to write a long and thoughtful memoir about your homeschool journey. Bind it, decorate it, make it personal, and make it pop. Your parents have sacrificed TONS to bring you this opportunity for a personalized education, and just the simple knowledge of what it means to you can be a gift in itself. Handmade Crafts. 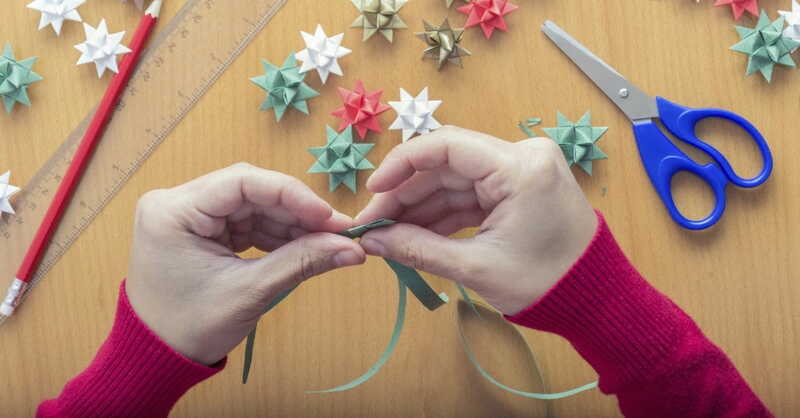 There are some fairly cool and amazing Do-It-Yourself gift ideas out there – and they don’t cost very much at all! Here are a few of my favorites: Fresh Potpourri Pie, Bath Salts, Candle Holders, and Chocolate Dipped Spoons. Now it’s time to get busy and put that Santa hat on! It can be a very merry Christmas, even without wads of cash to spend.